Marketing online is easy, for those of us over 40. Well, its conceptually easy. We remember the Yellow Pages. You bought a bigger yellow page ad to get more business. You paid outrageous monthly fees - usually in advance. You silently fumed vowing to "train" your staff to "track" all the inbound calls. But, paying worked. You made money from those Yellow Page referrals. For almost 50 year, if you supplied goods or services, you used Yellow Pages, in part to signal your reputation. A big ad, a prestigious address connoted skill and experience. The Yellow Pages was a platform; and it solved a chicken and egg problem for merchants and consumers. The merchants paid to be bundled with their competition because consumers were expected to use the bundle, the physical book. Consumers got the bundle for free, which made it easier for them to use. More use lead to greater merchant participation. More merchants crowding on the page signaled more expected consumer use. And so it went, until it got too croweded and nobody went there anymore. But, the book is gone. Many will tell you that online search has replaced the bundle; that you must transfer your monthly advertising budget into a variety of ungodly acronyms: PPC, SEO, SEM, CPM and likely ICBM's, to best the competition. None of this is true - for you. Paid search has always been overrated. When I am ready to buy, I will search and then click. But, the use of that infernal patented 1-click button which drains my credit faster than Don Cherry sprinting from his sauna to the beer fridge, is not a result of my last search. Many things happened before I was ready to buy, whether clicking or phoning. So how do you replace the Yellow Pages? Remember the economics behind that bundle of cheap yellow newsprint. Merchants paid to be in the bundle because merchants expected consumers to use the bundle and call them. Consumers used the bundle because consumers expected to find reputable merchants in the bundle, merchants who signaled their reputation, skill and experience by buying bigger ads. But, the bundle fell apart when this virtuous circle of actions and reciprocal expectations were shattered. So, as a merchant, you are looking to duplicate the Yellow Pages platform on a smaller scale. Here is the type of online directory that you are looking for. Consumers are looking; there is decent traffic and much more than your own. How can you determine that? 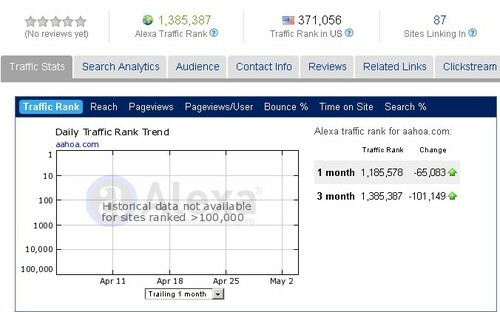 Here are two tests, rank your website and the directory over at Alexa.com. For example, let's rank one a key partner of the IAFD, AllState Capital, with the Asian American Hotel Operators Association website. 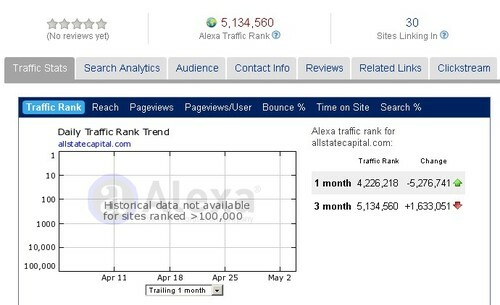 Now, lets compare that to Allstate's Capital website. So clearly, the US traffic is better at AAHOA, which makes its directory of merchants attractive. (Alexa has accuracy problems and biases, but when used to compare similar industry sites, those biases should wash out.) Of course, you would want to make this comparison with every possible directory and compare costs. So, John at Allstate Capital might want to compare the directory reputation of the Curves Franchisee Association against the Gold's Franchisee Association because Allstate Capital funds the purchase of fitness equipment. Here is the Curve's website grade. So, it might make sense for John at Allstate Capital to look at purchasing a directory listing at the Gold's Gym franchisee association website, all things being equal. But, again you would want to do this ranking for each pair of directories that you were considering and then calculate the trade-offs between price, traffic, and reputation. This should be enough to get you started on finding your replacement for the Yellow Pages. "The IAFD cannot make your business better. We cannot give you a better reputation than you have. We do have a marketing program however that maximizes your reputation, builds your social audience, and creates sales leads - the Key Partner Program. But, if you use it, you will have to get used to the fact that it works better than the Yellow Pages and is less expensive. If you can live with better and cheaper, then the IAFD would love to have you as a Key Partner."